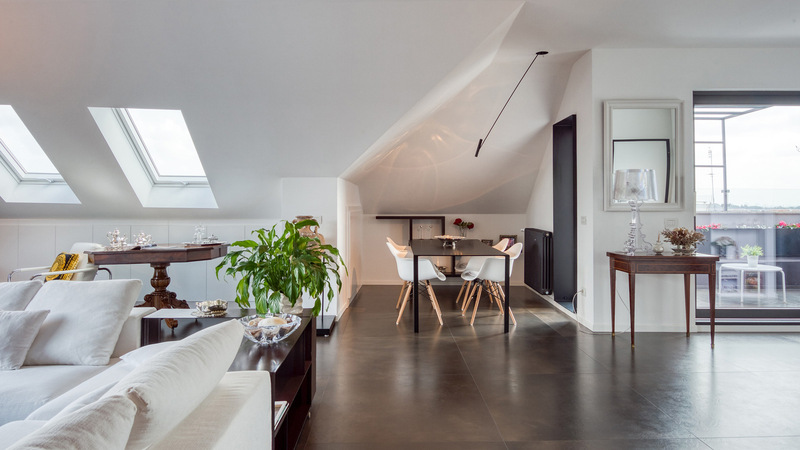 This 196m2 penthouse has counted on materials from Porcelanosa, L’Antic Colonial and Noken. 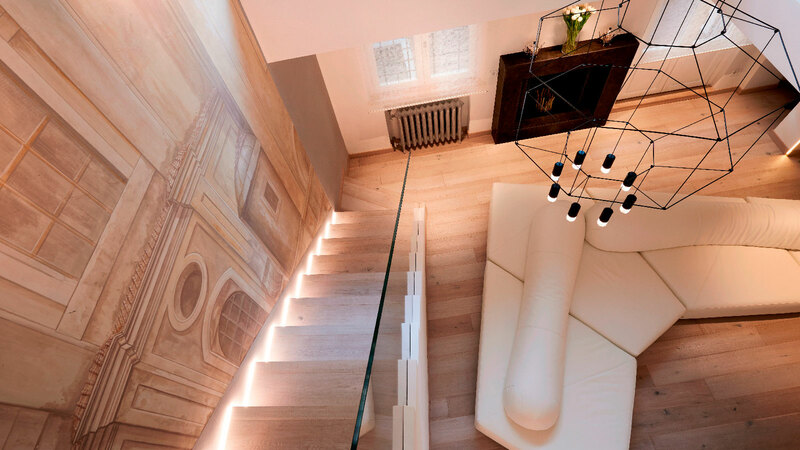 With high ceilings and historical frescos, the interior of this house combines marble structures and natural wood. 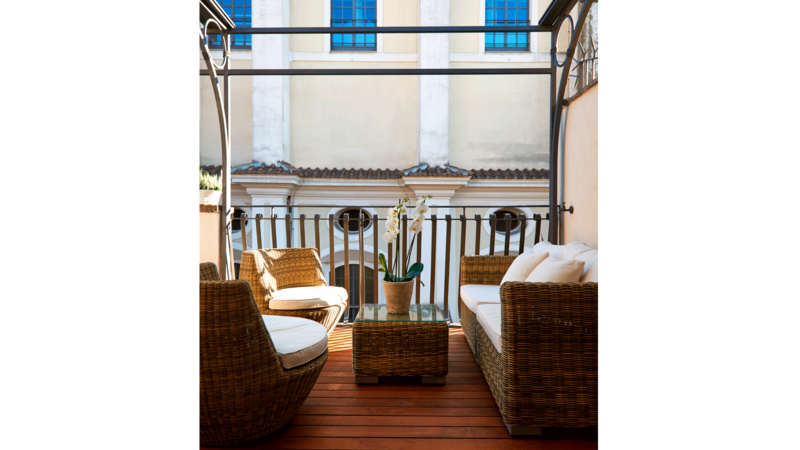 With the Piazza Navona and its Fuente de los Cuatro Ríos, the Navona Penthouse stands out. 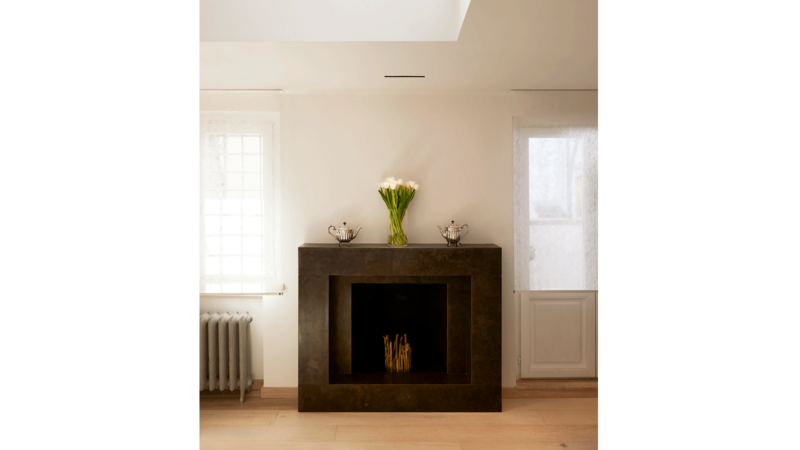 A 196m2 penthouse which is in the city of Rome. 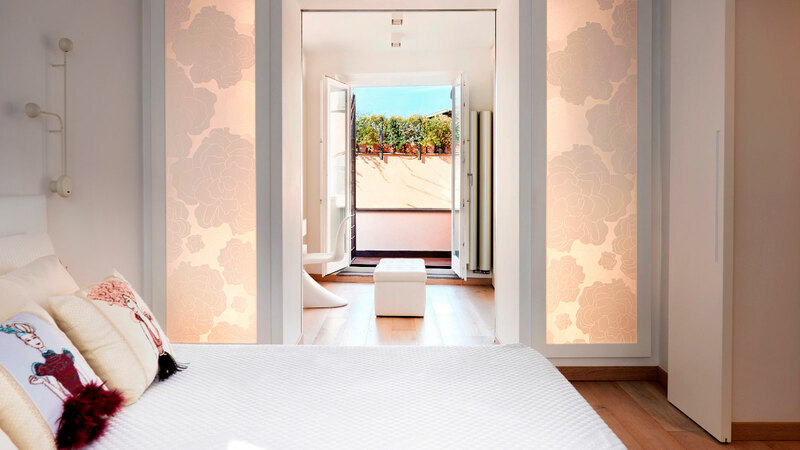 Its spacious rooms, high ceilings and paintings portray that architectural majesty which has been alive since Ancient Rome. 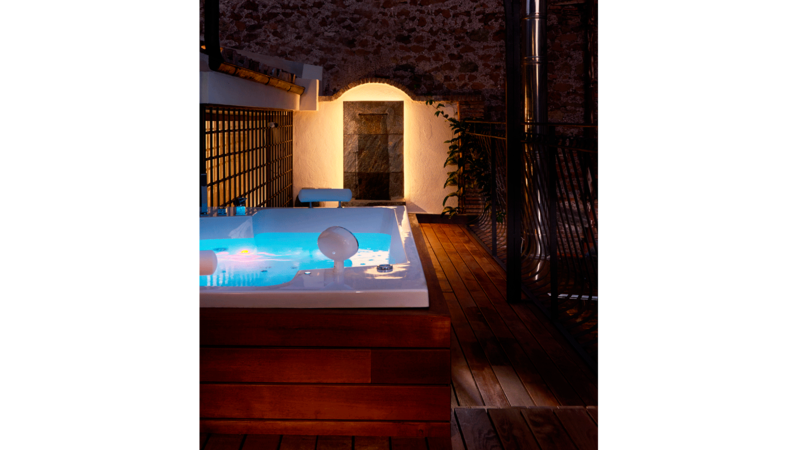 The use of the materials from the PORCELANOSA Grupo has put an emphasis on the historical value of this house, as well as its possibilities regarding design and architecture. 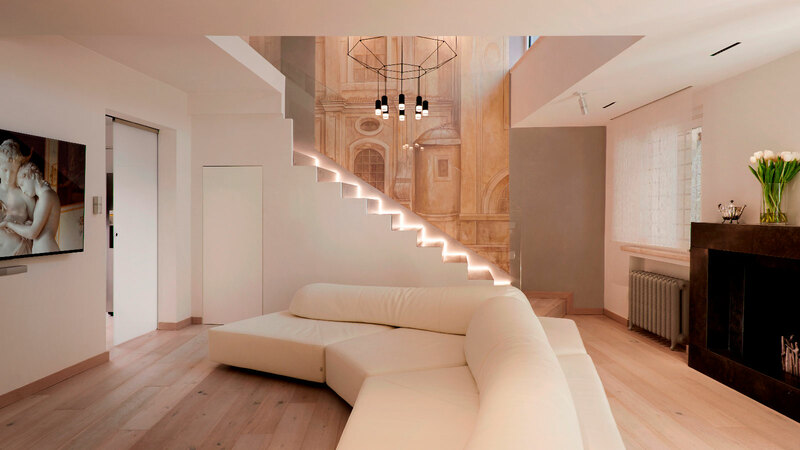 The double-height living room is accompanied by a minimal-style staircase which lights up with LED lights. 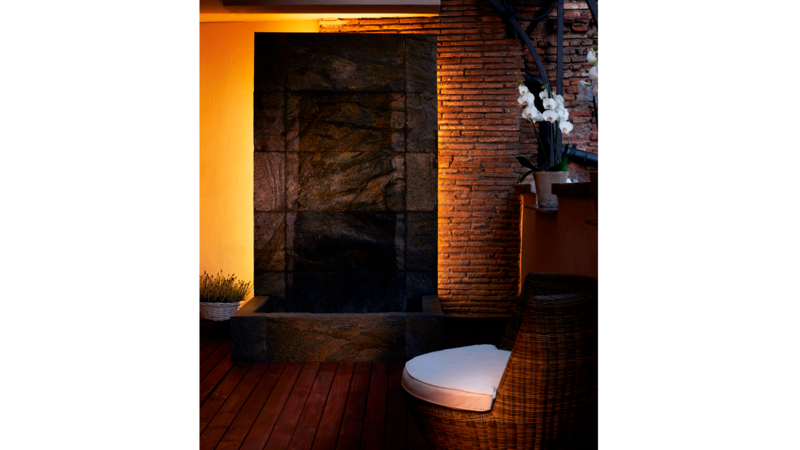 A system which enhances the warm colours of the fresco which can be found here. 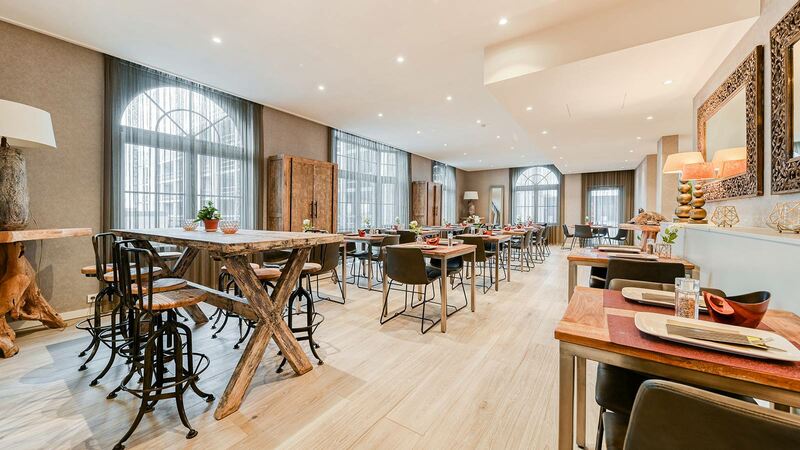 The Habana Dark marble from L’Antic Colonial sculpts the fireplace in the main lounge, where the large windows overlook the red roofs of the city. The open city that is Rome. 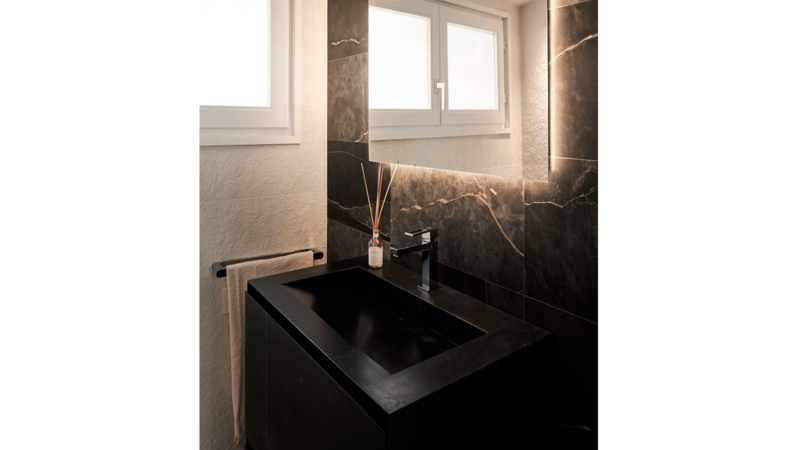 The backlit panels manufactured with the KRIONTM Solid Surface mineral compact make it possible to have the different areas of the house divided. 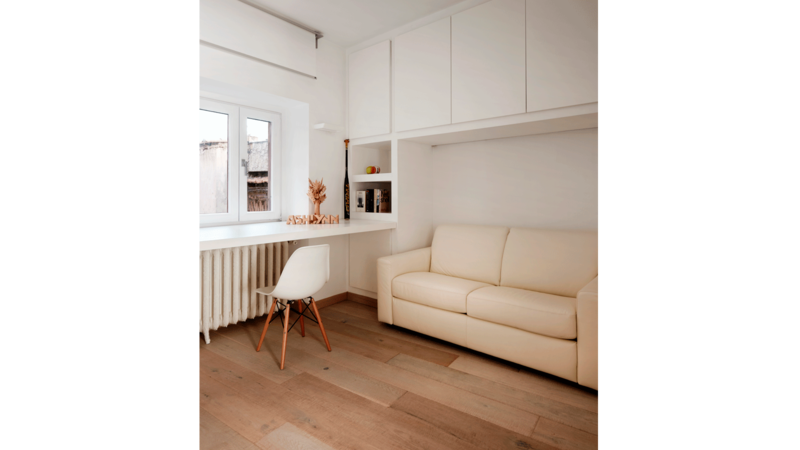 An atmosphere where it is also worth highlighting the Artisan 1L Linen natural wood floor tile from L’Antic Colonial. Imperial oak which takes roots in the Roman roads. 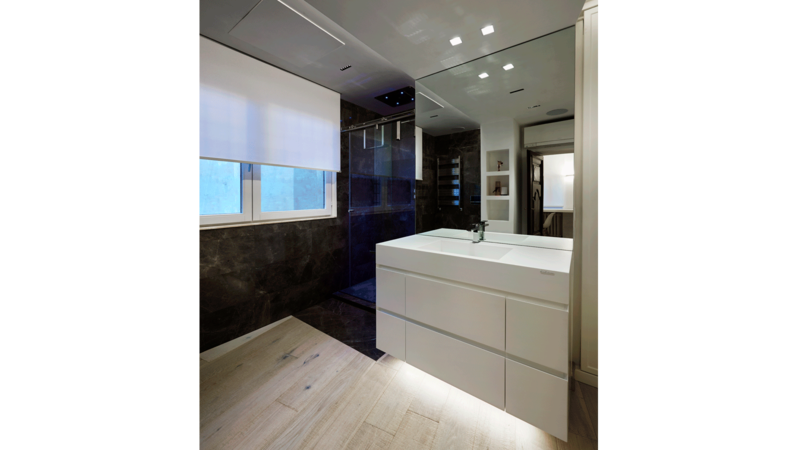 The two house bathrooms are characterised by their elegant and timeless aesthetic. 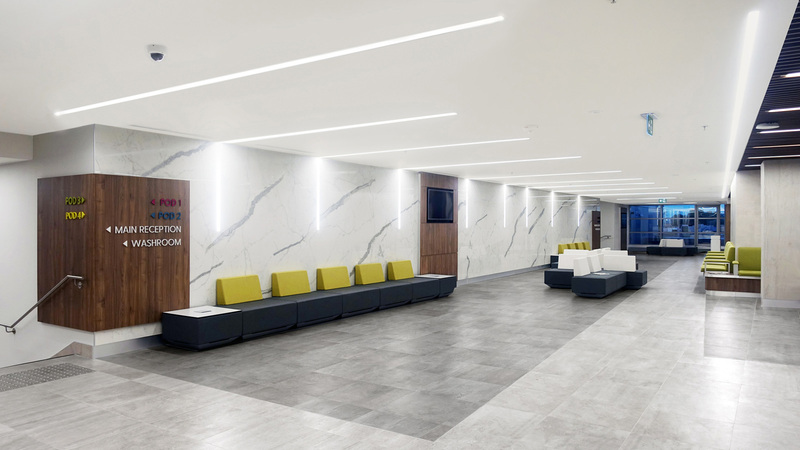 The Florencia Blanco low-relief ceramic tiles from Venis have been added to the Capuccino Grey and Habana Dark natural marble wall tiles from L’Antic Colonial. 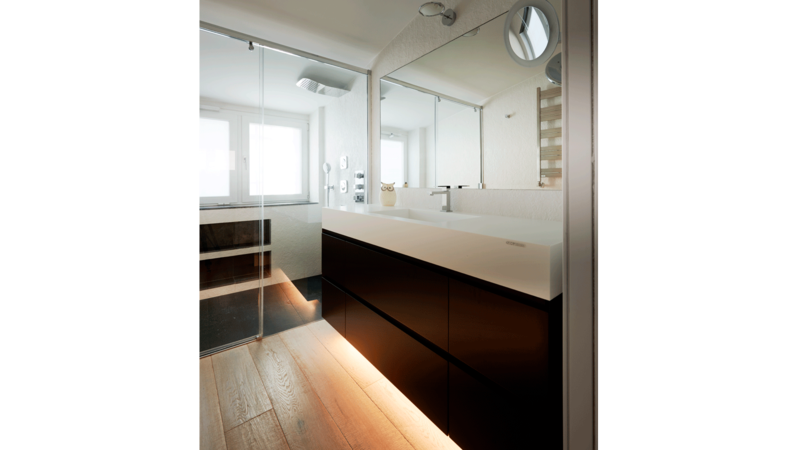 The bathroom furniture benches manufactured with the KRIONTM Solid Surface provide the space with freshness and functionality. This mineral acrylic stone is jointless, has both easy-to-clean and anti-bacterial properties, and is resistant to knocks. 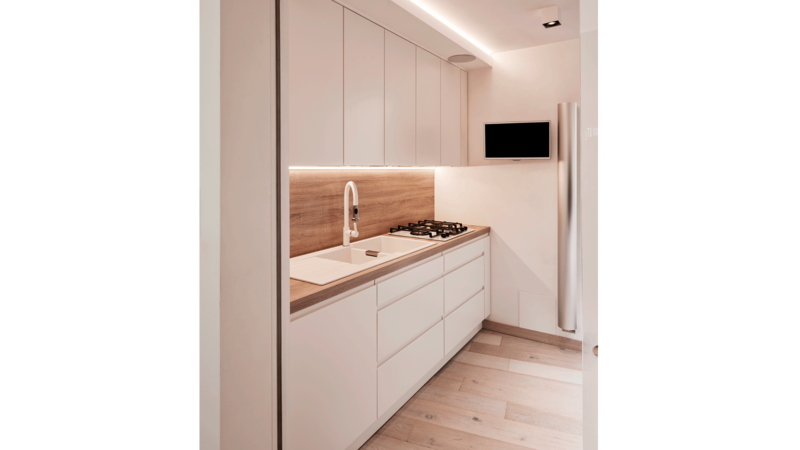 In order to enhance the user’s comfort, the house has seen the inclusion of taps, shower trays, sanitaryware and furniture from the bathroom firm, Noken. A Renaissance look into the future.